Free Shipping Included! 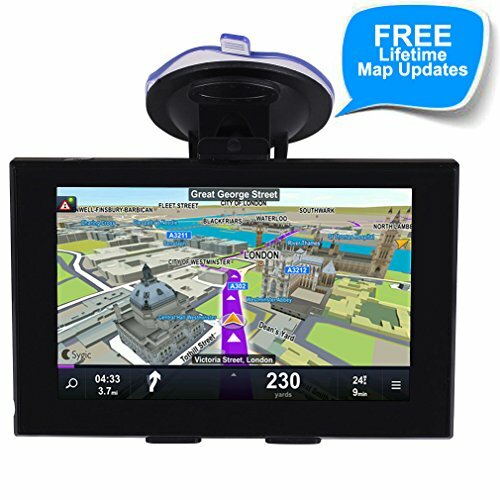 GPS Navigation for Car, 5 Inch Touch Screen Voice Reminding Vehicle GPS Navigator 128MB 8GB System Lifetime Free Map by vrchil at iShare Maps. Hurry! Limited time offer. Offer valid only while supplies last. Pre-installed America maps - easily update the maps via your MicorSD card or just feel free to CONTACT US UPDATE MAPS. Supports many vehicle type - Car, Truck, Pedestrian, Bicycle, Ambulance, Bus, Taxi. You can select according to your vehicle type. Support Speedcam Warning, Lane assist, Voice guidance, 2D/3D maps, Postcode search, Traffic alert. Package Includes - GPS navigator, Car Charger,USB Cable for data transmission, Suction Cup Mount, Back Bracket, User Manual. If you have any questions about this product by vrchil, contact us by completing and submitting the form below. If you are looking for a specif part number, please include it with your message.